The Frugal Family Life: Rubbermaid Brilliance, 10 Piece Set ONLY $12.49! 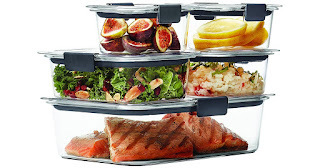 Click on over to Target where you can score this Rubbermaid Brilliance Food Storage Container 10-Piece Set for only $12.49 (regularly $19.99). These have great reviews!